I love this shot. when I first tried to set it up the couple did not know if it was going to work, but I had an idea in mind and I did a few different things until I was able to make it work. I positioned Brittany so that she was in the reflection of CJ's sun glasses. The trick to make it work was to have CJ looking into the sun, which you also see in the reflection. 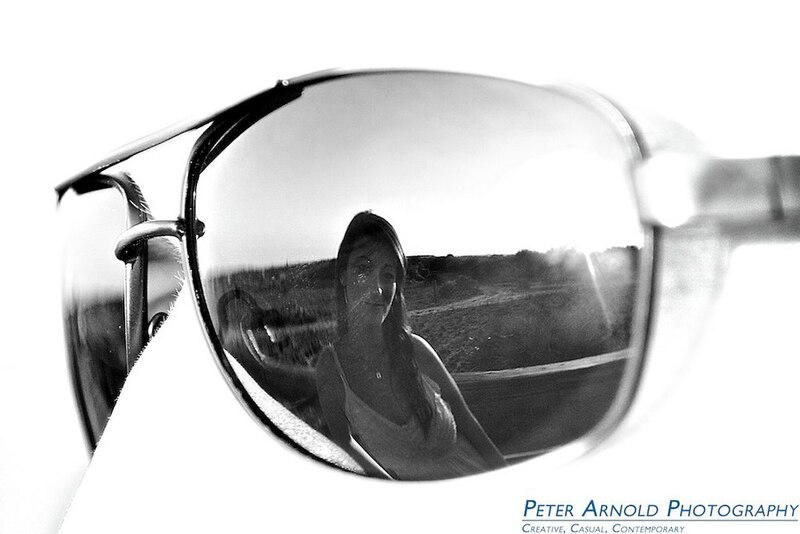 I also made sure to focus on the reflection of Brittany and not just on the sunglasses.